A search engine is a web-based program that collects and organizes content from all over the internet. Those wishing to locate something would enter a query about what they'd like to find and the engine provides links to content that matches what they want. To understand why listings rise to the top of search engine results, you need to know the motivations of all of the players. 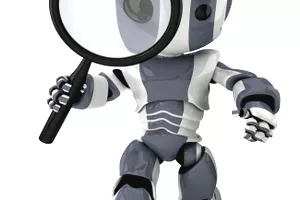 The searcher: Someone is on the web searching for information or a product or service. They want to enter some key words that represent to them the item for which they're searching and have relevant websites pop to the top of the search that are going to answer their question or meet their needs. The search engine: The search engines are making money selling ad space to websites, businesses, and marketers. The more search traffic they can generate, the more eyes on their ads, and the more money that is made. Their goal is to have the most relevant sites pop to the top of search results so that the searchers find what they want and return to do another search. The website or marketer: They want these web searchers to click to their site so that they can present their message and/or sell their products or services. They, of course, want to have the searcher arrive at a relevant page to their search so they are more likely to take the action desired by the site/marketer. Notice that word relevant in each of these players' desires. It's all about the content of the page matching what the searcher wants, which makes them happy so they return to the same search engine next time, which makes the engine happy. The website that gets the traffic also gets what they want. As regards real estate, millions of searches are done each day on multiple search engines for search queries like "Atlanta real estate" or "atlanta ga real estate." The search engine returns results for real estate related sites and content for the Atlanta, Georgia, area in this case. The sites are ranked by highly secret and complex formulas or search algorithms. These formulas are updated and tweaked frequently by the engines. Real estate websites need to concentrate on answering questions about real estate in general, buying and selling real estate, and the local market and neighborhoods. This is what the searcher is seeking, and this relevant content is going to meet all of the players' needs. Search engines have evolved, and just stuffing in keywords isn't going to work; in fact, it can actually result in lower search ranking. The content of value relevant to the needs of the searcher is what works. Think like the searcher for real estate information and the questions they ask when creating your content. Though there are many who attempt to manipulate their sites to get higher placement in results, it's generally best to provide highly relevant real estate and area content and make it very useful for your site visitors. As all the engines are striving to be the most popular based on results that are closest to what the searcher is looking for, it can only be a good strategy to provide that relevant content. Update: Over time since this article was first written, search engines, particularly Google, have evolved and added a lot of capability to identify content relevant to a search. Google updates their algorithm many times each year, some small changes and some major. Over time, websites have lost a lot of ground on the first page of Google results to the big sites like Realtor.com, Zillow.com, and Trulia.com. They have thousands of pages of content with millions of relevant key words and phrases. Longer phrases, called long tail searches, help websites to compete for first-page results positions, but it is still a challenge. These days, combining highly relevant content, pages focused on specific key phrases (landing pages), and lots of exposure on the social sites is the way to go. Getting traffic to your website using social media posts is how you'll build what is called "domain authority," helping your site to move up in search results.